SWEET SUNNAH Beard Tonic is created from the finest natural herbal ingredients available. Our focus is to stimulate Hair Growth, Strength and give you a Healthy Beard while fighting against Itching, Dandruff, Irritations and Patchy Beard. Giving you the result that you are looking for. 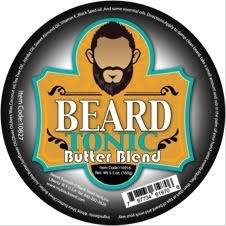 Sweet Sunnah Beard Tonic Butter Blend will moisturize your hair and treat the skin under it at the same time. It will condition and hydrate hair follicles from the inside while giving it a slight hold. Apply to damp clean beard, take a small amount and rub in the palm of your hand until evenly liquifies, then start at tips of beard and work your way up. White Shea Butter, Olives Butter, Jojoba Butter, Sunflower Oil, Olives Oil, Bees Wax, Coconut Oil, Tea Tree Oil, Jojoba Oil, Sweet Almond Oil, Vitamin E, Black Seed Oil and some essential oils.